So you're wondering which of the best baby monitor for twins to get. Well, you know as well as I do that when you have twins, they're more than twice as hard to manage as a single child! In fact, you look at all the other moms with their single child, and even though you wouldn't ever give your two miracles up for anything, you can't help but feel a little jealous at how easy their life must be. It's like magic. As soon as you have eyes on one, the other seems to know the coast is clear to get into mischief, and using that unerring sense children seem to have, disappears! In the past, mothers had to have eyes in the back of their heads to keep up with this. Thankfully, modern technology now has our backs, and baby monitors make it so simple to keep track of your kids, even when you aren't in the room! Just like anything for children, there's a huge amount of options out there, and it can be hard to wade through them all and find the best, especially when you barely have time for yourself! Everyone's got a different situation, but when you're buying a baby monitor, it's worth taking a step back and thinking about what you're going to need it for, where it's going to fit in your house, and how often you think you might need it. For example, a family that live in an apartment will have a completely different expectation and needs than a family with a larger garden that's regularly used, either by the twins to play or just by yourself as you're putting the washing out. ​How large is your house, and how far are you going to be from your kids? How often do you spend a few minutes or more away from the twins? Are you regularly on the other side of the house? Are you happy with just hearing your children, or would you like the extra security that comes with being able to see them as well? Do you travel often, and so might need something that can come with you? Do extra features like night lights and temperature sensors matter to you? What's your budget? Obviously, if you see yourself using this often, or you're going to be away from your twins more than you might want to be, it's worth splashing out a little bit more. Do you need a movement sensor? It's possible to get baby monitors for twins with movement monitor that activate whenever your children stop moving for a longer period of time, letting you know that something might be wrong. My house isn't very big, I don't feel like I need a baby monitor? You might say that, but are you by the side of your children every second of the day? Can you honestly say that you know everything they're doing, at any moment? It only takes a minute for something to go wrong, and for me, the extra layer of safety and security that a baby monitor gives me is worth anything. Even if you live in a smaller house or apartment, it's normally worth picking up a baby monitor, just for that extra peace of mind it gives you. Even if your walls are thin, it means you can see at a glance what's going on. It means you can shut the door to their room without worrying about not being able to see what's going on in there. It's also a great option if you worry about missing something, for example if you've got a hearing issue, or you're having the grandparents over to look after them for a night and you're concerned about whether they'll be able to hear them crying. Why you should buy a video monitor system rather than pure audio. Some people are happy to just have an audio monitor, especially if they don't have to move too far away or spend a lot of time away from the kids. But for me, the extra convenience that comes with being able to see what's going on in the next room at a glance is a fantastic addition. One that takes a huge weight off of my mind. There are a lot of options, from simple video monitors with just one camera, to multi camera systems with night vision, movement sensors, movable cameras, so no matter what happens, you've got the perfect insight into what's happening. When you're looking at buying a baby monitor for twins, you've also got to think about what the signal is like. This is pretty technical, but basically it comes in two types. Analogue and digital. Analogue is the old style, and it's perfectly fine, but you're more likely to lose signal, and the signal tends to be weaker, so you don't get as much range on the monitor either. Plus it's actually possible for people to hack into an analogue monitor! Digital is the better, but more expensive option. If you've got the option, it's worth picking up a digital monitor rather than an analogue, because they are all around better. Range is incredibly important when you're considering a baby monitor. You need something that's going to cover your entire house, and go as far as you will away from your kids without affecting the quality of the signal. You need it clear and constant. No point in buying a baby monitor if it's going to cut out every five minutes, right? Bear in mind that the range stated on the box is probably not what you're going to get out of it. The range the manufacturers say is normally what it's like in a completely open room, with no walls, no Wi-Fi or other signals interfering with it. When you're looking at range, you're also going to want to look at the signal strength. This is something I would test as soon as I've got my new monitor out of the box. Turn it on and walk around with it. See if it cuts out or the signal stutters. This is going to be really important when you're doing jobs around the house and trying to pay attention to the twins at the same time! You want a constant, steady signal. No juddering, no weak sound or picture, no cutting out. What about other extras? Movement alerts, temperature gauges? Movement alerts, that check and alert you if your kids stop moving for more than half a minute. This is for things like SIDS, but some people think it might just be a false sense of security, so make sure you don't just rely on this and check them regularly. 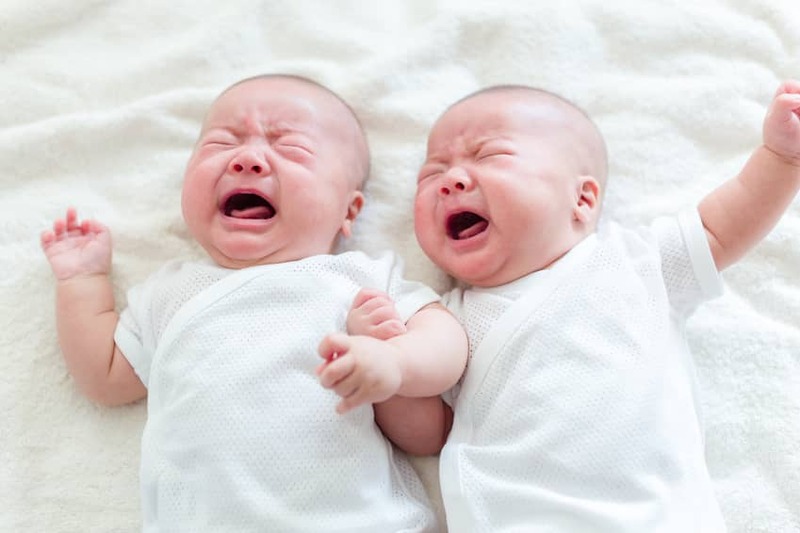 Curious what other parents think about monitoring twins? Join our community here. This twin baby mointor has literally everything you could want in one sleek, beautiful, powerful package. Just keep in mind, the additional camera comes separately. First, and most importantly, the cameras themselves are incredible. They've got full range of movement that's really easy to use from the handheld monitor. There's a strong digital zoom that's easy to use, and additional cameras are simple to plug in and use, making this a great choice if you need a dual monitor for different rooms. Even better, the cameras have the option to change lenses, so if you need a wider view of your twin nursery, you can switch out the lenses quickly and easily. The monitor itself is good, too. Sleek and simple to use, with a clear, large sized screen. The sound clarity is excellent. It picks up everything that's going on anywhere near the cameras, and it comes through the monitor with a crisp, clear sound that's easy to pick individual noises out of. It's even possible to pick up faint background noises, for example the white noise from my humidifier. Lastly, the battery life is really really good. It lasts around 6 hours with the video on, which is easily long enough for most normal days. If you only need sound, then you can get around 10 hours. Downsides are really minor. You have to charge the cameras with wires, rather than a dock, and the charging wires could be quite easy to damage, and the noise when it gets low on batteries or loses signal is quite annoying. Though, I have to admit I like that, because it reminds me to charge it! ​At the end of the day, no matter what you need, this camera and monitor set can do it. It's powerful, with a great set of cameras and a crystal clear picture. If you want the best for your family, in my opinion, this is it. A sound baby monitor for twins. It's powerful with a lot of features built in. This monitor would be a welcome addition to any family. The cameras are really easy to use, and have a powerful zoom and a built in, automatic night vision mode, so even in the middle of the night you can make sure your little treasures are safe and sound. ​You can choose one camera or two, whatever you need, and it's actually expandable all the way up to four separate cameras. So if you want to completely cover your entire nursery, or half of your house, with baby cams, you can. ​The sound quality is what really sets this apart. It's crystal clear, which makes it easy to hear everything that's happening at the other end. You can also set the sound levels using the monitor, so if there's something going on in the background, like music, you can set this up to automatically filter that out. 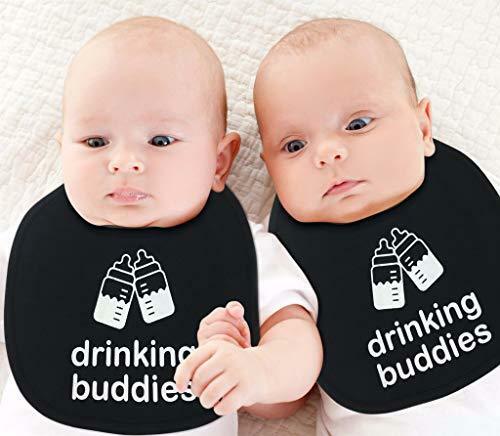 Overall, these are among the top quality monitors on the market if you have twins, which will give any new parent everything you need, at a reasonable price. A mixed bag. Summer Infant's baby monitor for twins has a few features that make it a really good dual choice, for example, to have them in two rooms, as well as a pretty good monitor in general. There's just a few things that I'd wish they'd done better. ​First off, we've got to talk about the split screen feature. You can have the feeds from two cameras on the monitor at once, which is so so good when you've split the twins up for an hour. ​The cameras themselves are also controllable from the monitor, with easy to use pan, tilt and zoom functions, as well as a pretty good night vision mode. It's also got good sound quality, both ways, so not only will you hear everything that's happening near the cameras, your children will be able to hear your voice whenever you want them to. ​Unfortunately, the camera quality isn't quite as good as the two systems we've looked at above, with a slightly muddier, grainier picture. It's also got quite a low battery life, especially on the monitor itself. So if you're planning on moving around the house a lot and using the monitor cable free, bear that in mind. If you're on a budget, then this is the little brother to the V-Tech Baby Monitor for Twins we just looked at. ​For the price, it's pretty good, with two cameras that work at a really long range, with a crystal clear sound quality. Unfortunately, the visual fidelity isn't that great. It's still good enough to see, but not as nice as the more expensive models, so things in the distance get a bit blurry. ​It also manages to pack in a night vision mode, and though obviously you aren't going to get the same quality as you will on more expensive monitors, it's still easily good enough to see what's going on at the other end. ​There's a 2 way talk back system, so you've got the option to comfort your kids from a distance, and the cameras are pretty easy to mount, whether you put them on a surface or stick them up on a wall. ​Bear in mind you always get what you pay for, but this doesn't mean that this is a bad monitor. Far from it. If you need a cheaper option than the three above, that still lets you see what's going on with your twins but doesn't break the bank, this is a great choice. This is an excellent monitor with two cameras, but it's not the best baby monitor for twins. It's a shame, because what this delivers is excellent, but it just falls short with one major problem. But if you can get past that, this is a fantastic monitor. ​First off, the camera quality is great, with really crisp, easily visible pictures that make it simple to see what's going on at the other end. It's got a night vision mode, and split screen viewing options, as well as the ability to dim the screen and adjust sound levels, so you've got complete control. Plus the cameras themselves are controllable from the monitor, with a pan and tilt feature so you can follow every movement. ​There's also a temperature gauge, as well as two way communication. ​So what's the downside? Really short battery life, and a weak charger. Which doesn't help, considering how often you'll be charging this. If you can get past this, though, you're going to have an excellent monitor for your twins, that's just as easy to use as it is excellent. The package comes with a 4.3” TFT-LCD screen that produced high-quality picture and sounds. It can be installed in a long distance for up to 800 ft and has privacy wireless transmission. It can support up to 4 cameras in total. Two cameras can be paired, you can select designated, or auto-scan all. The two-way talk feature is great because parents can talk back to the camera. It has automatic IR night vision. The picture quality is impressive and the two-way communication and sounds work well. It has a large and clear display monitor, and you can use the separate cameras in two different rooms. One drawback is that although the monitors can carry a charge, the batteries do not last as long as expected. Others say if you use it long enough, the batteries do not charge any more than you have to keep the monitors plugged in for it to work. It also beeps so loud when the battery is low and wakes up the kids. The design has some flaws as well such as the cord comes out of the top instead of the bottom, and the camera mount can only move at about 275 degrees and not full 360. So it should mount at a very good distance or very high up to get a good view of the room. Overall, it is a great baby monitor that gives you value for your money. Now that you've read through our list of best baby monitor for twins, hopefully you've found the perfect monitor to keep your family safe. Remember, the right monitor will make it easy to get everything done whilst still keeping a watchful eye over what matters most. If you have any other questions, make sure to leave a comment below.